What makes clothing beautiful? Is it the pattern printed on fabric or the technology behind it? Well, it’s not what you get printed but the technology that has been used for printing! For this reason, we use the most updated technology in the field of fabric printing to provide our customers with the premium quality printed material for optimum gratification. Using the state of art machines, we print anything regardless of the size; and the amount of detailing we do, would not cost you any extra buck. We are an organization comprising of talented engineers, graphic designers, operators and quality check associates with the sole objective of satisfying our customers. Delivering you the best-finished product is a mission here at Fabric Printing Thailand. We can print anything even if it is a design or pattern made by your kids. Our services are not only limited to fabric printing, you can also order custom fabric printed with your own design. Printing your design on fabric has never been this easy. 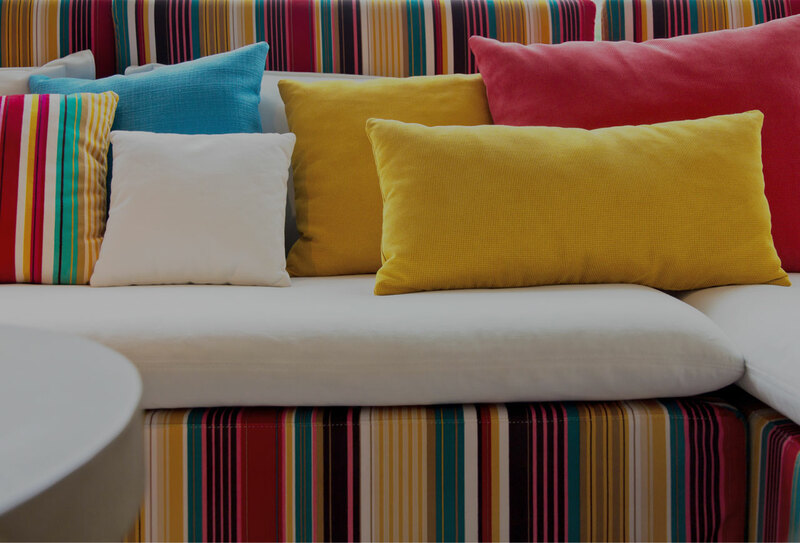 We can help turn your fabric into pillow cases, curtains, cushion covers. Whatever you need. We mail out your fabric and expect delivery within 2 weeks. If you are looking for products that can truly reflect your own identity. If you want your brand to be placed on every product of your store. then go for custom fabric printing now! All you’ll have to do is upload your design to our database, choose the material and once we receive your final order, our team will roll immediately to get the job done. If you are not sure how to select fabric, you can get in touch with our team, and they will be happy to oblige. The finished product will arrive at your doorstep within a couple of weeks. Our online order service is available 24x7, no matter what part of the earth you are from, if you’ve got a postal code, you will get your custom print fabric on time. With our custom fabric printing service, you don’t have to worry about a minimum order quantity. In addition, you can be sure that apart from being processed by our in-house digital printing system, the fabric whether in large or small orders will also be processed by large-scale industrial machinery from pre-treatment until finishing. Our fabric treatments including mercerization, sanforization and resin finishing and also the chemicals used in our processes are guaranteed to be under the same standard as industrial-scaled textile manufacturing. Therefore, our printed fabric products always have the touch and feel of the fabrics used in garment manufacturing business and are not stiff like product samples or mock-ups. Copyright © MKK Textile Co., Ltd. All rights Reserved.